The attraction opened at the Magic Kingdom in 1971, Tokyo Disneyland in 1983, at Disneyland Paris as Phantom Manor in 1992, and at Hong Kong Disneyland as Mystic Manor in 2013. 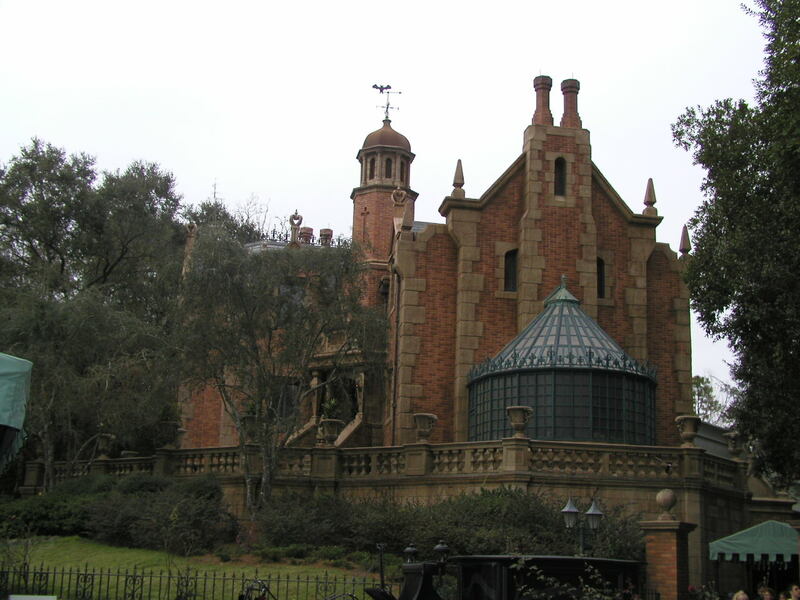 The Haunted Mansion was an opening-day attraction at Walt Disney World's Magic Kingdom, opening in 1971. 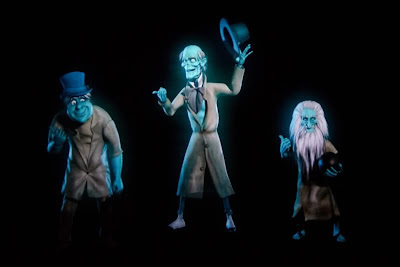 This attraction was developed at the same time as the Disneyland version, resulting in a very similar experience, though the slightly larger show building allowed the addition of several new scenes. The attraction was placed in Liberty Square, a small land that was a tribute to colonial America, as the Magic Kingdom did not have a New Orleans Square. Thus, the exterior was given a Dutch Gothic Revival style based on older northeastern mansions, particularly those in older areas of Pennsylvania and in the Hudson River Valley region of New York. The mansion is surrounded by large oak trees adorned with Spanish moss, red maples, and pines, all of which are native to Florida. 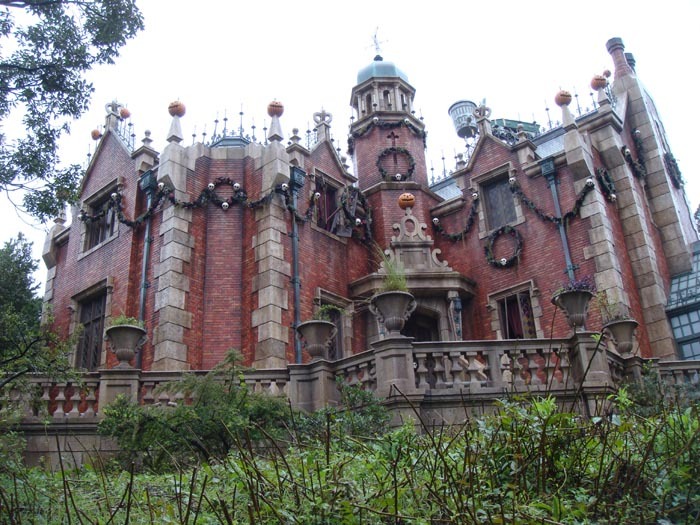 At Tokyo Disneyland, the Mansion was placed in Fantasyland and was a near-complete clone of the Magic Kingdom version. The only exterior differences from the Magic Kingdom are two bronze griffin statues guarding the main gates, as well as the left bottom and top windows being both smashed open, and the top having some velvet curtains hanging out. The narration is in Japanese. Disneyland Paris is home to Phantom Manor, a "re-imagined" version of The Haunted Mansion. Its architectural style is Second Empire (the same style as the Bates mansion in the 1960 film Psycho), based on the look of the Fourth Ward School House in Virginia City, Nevada. The attraction uses a Western plot to fit in with the Thunder Mesa and Frontierland backdrop. Mystic Manor, a very different kind of attraction inspired by The Haunted Mansion, is in development for Hong Kong Disneyland. The attraction will feature a "trackless" ride system and a musical score by Danny Elfman. Continuing the Society of Explorers and Adventurers theme of Tokyo DisneySea, the attraction tells the story of Lord Henry Mystic and his monkey Albert. Having recently acquired an enchanted music box, Albert opens the box and brings everything inside the house to life. When The Haunted Mansion was transplanted to other Disney parks, space management was much less of a problem. For example, in Walt Disney World's Magic Kingdom, the entire show building is located within the park boundaries. Luckily, the placement of the show building has no bearing on the quality of the experience. 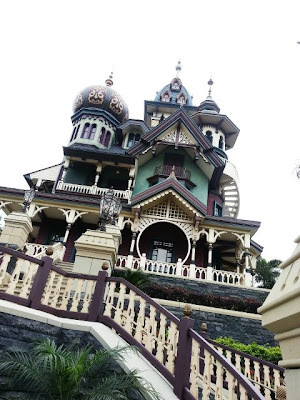 Most guests give little thought to whether they are actually inside the mansion they saw while in line. Tomorrow, the details on the differences between all of Disney's Haunted Mansion Versions! 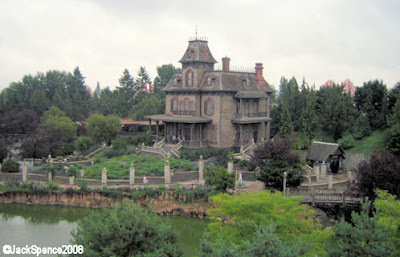 FYI - so far, I prefer the Haunted Mansions stateside - they look the best AND the Hong Kong version - YIKES!!! Really, a magical monkey?! PASS!